Our chefs honor tradition and roll with the trends. 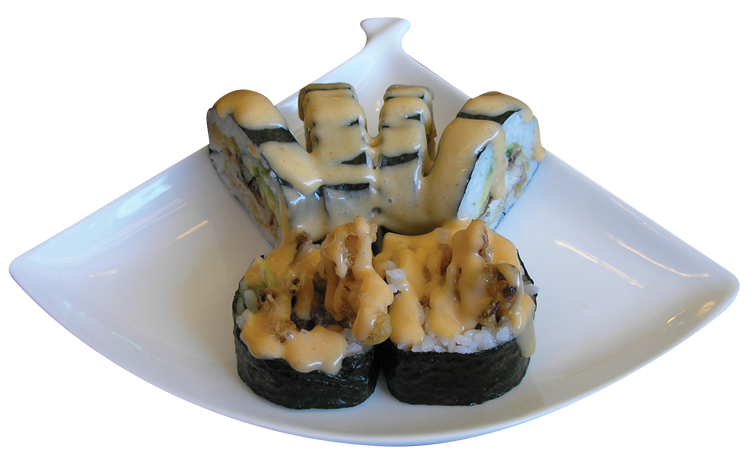 We offer a variety of fresh, delicious rolls. 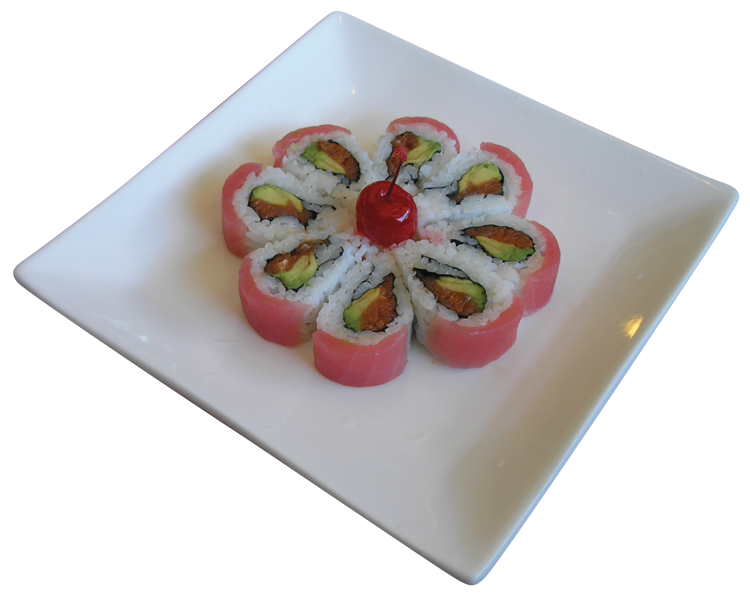 This is the Cherry Blossom Roll, one of the many tasty choices you’ll find here. Also, you can check the board for our daily specials when you come in. 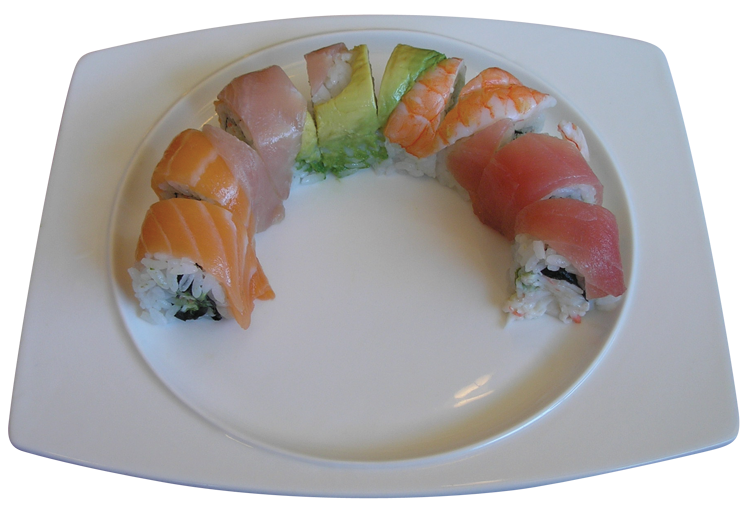 Here’s our Rainbow Roll, which offers tuna, shrimp, salmon, hamachi and avocado. We’ve got lots of other delicious choices, so check out our menu. 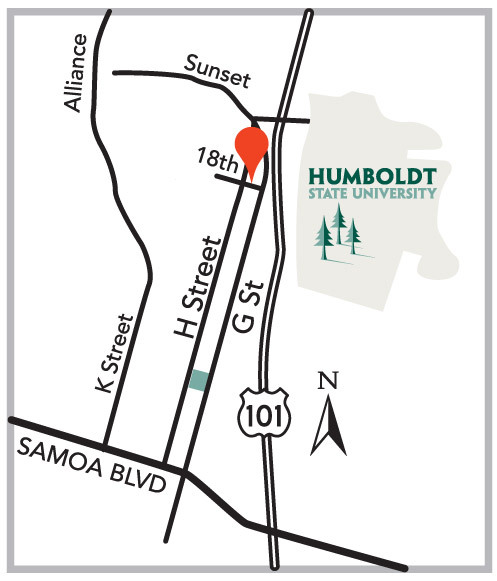 Be sure to check us out on Yelp. 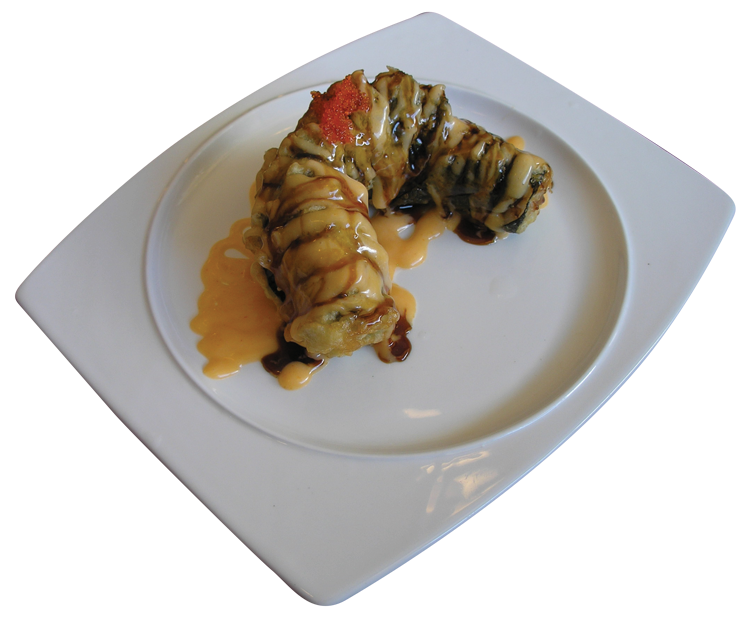 Our customers have left lots of happy reviews and we’re proud to receive such high ratings from sushi lovers. We aim to please, so we’re ready for your order, whether you’re in the mood for the freshest sashimi, or some finger-licking-good tempura. Our chefs honor tradition, but they also roll with the trends. Just good sushi. Well made, good portions, fresh taste. 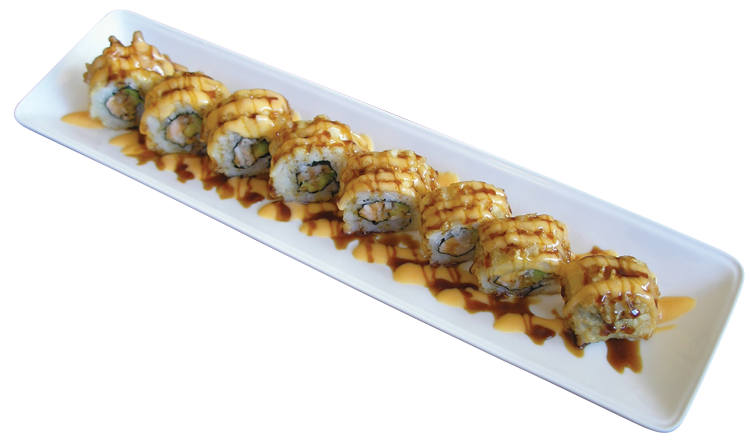 My favorite thus far is the golden dragon roll which has a sweet, creamy sauce on top with thin lemon slices … a little sweet a little sour and a big, wonderful taste.